The Maritime leisure experiences have ever been increasing in the region and have seen a growing interest in people wanting to get on to the waters. On the contrary, owning a boat in Dubai is not the easiest or the cheapest option. 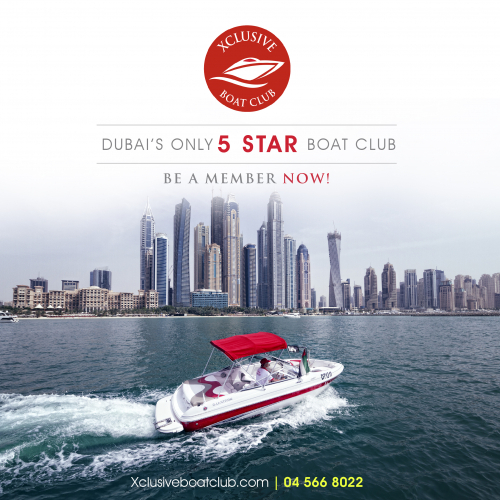 To accommodate the favorable inclination towards the boating industry in Dubai, award winning Xclusive Yachts have launched their latest venture - ‘Xclusive Boat Club’ that allows one to be the Captain of a choice of well maintained fleet. Conceptualized for convenience, it is the easiest and the most affordable way to get on to the waters without any hassles of owning a boat. Having been in the industry for over a decade, and with staff whose combined experience range over 100 years, Xclusive Yachts are considered masters in the field. The fleet owned by Xclusive Boat Club is brand new and includes fishing boats, wakeboarding boats, surfing boats, mini yachts, sports cruisers and many more. 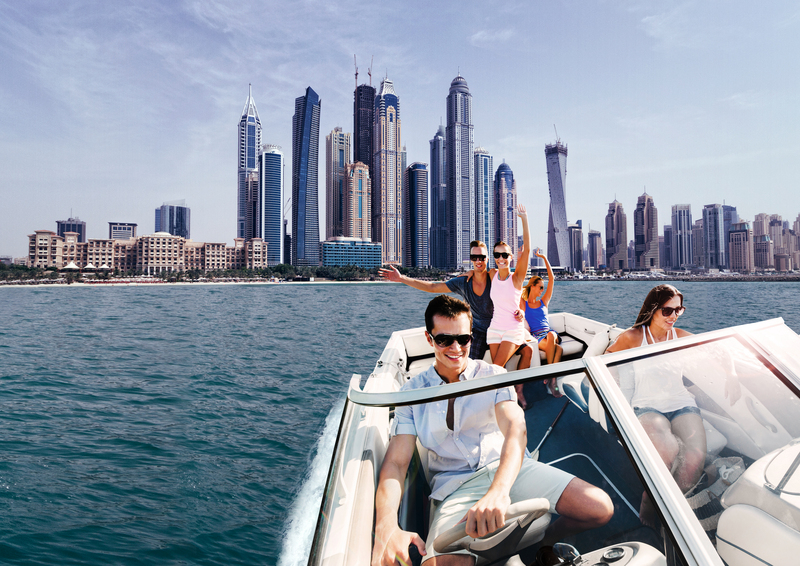 The annual membership plan at the Boat Club allows one to get unlimited access to these boats with guaranteed availability even on weekends for as low as AED 2000 per month. The amenities and additional extra’s such as wakeboards, ski’s, tubes, knee boards, fishing equipment, BBQ and even Xclusive’s own captains will be available on request – ensuring room for all the fun activities out at sea. 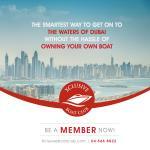 Operating from Dubai Marina, Xclusive Boat Club offers the ultimate turn-up and go service. The Club also assists clients to get their boating licence with their own in house Xclusive Sea School which offers an international RYA recognised certificate. The expert Captains and trainers at the Sea School will equip the members to master the art of driving a boat with the required confidence and skills. The Club offers an attractive membership plan with unbelievable rewards worth AED 50,000 upon joining that includes Luxury Yacht Charters, Luxury Dinner Cruises, Guided Tours, F1 Abu Dhabi Trackside Yacht Party Passes, and Luxury Yacht Share Tours. The members can also enjoy an exclusive 25% off on all products and services offered by Xclusive Yachts. The Boat Club functions as a community and will have regular events that only members, their friends and family can enjoy – that no other boat club offers! Whether that’s going on a dinner cruise on a luxury house boat or ending the weekend with a few sunset drinks on one of the super yachts! Xclusive Boat Club termed as the ‘Only Five Star Boat Club’ offers its members a transparent system to book their favorite boats online, guaranteeing 2 prior bookings at any given time and ensures the best support services for easy accessibility. From cleaning to maintenance, fuelling to berthing, the members get unlimited access to their premium fleet of boats and yachts. So forget the hassle of buying a boat that comes in with numerous hidden costs and let the experts at Xclusive Boat Club take care of your desired boating experience. Make an intelligent choice this summer and beat the heat with the Club’s VIP service! Xclusive Yachts is the largest and most recognized yacht charter company in the UAE with over 10 years of chartering experience. It operates with the largest fleet of self-owned yachts in the UAE, each unique in their own way. We believe in offering unique services to our guests and have a dedicated team of professionals with over decades of experience in the marine industry. The services offered are not just limited to Luxury Yacht Chartering; we also have Guided Sightseeing Tours, Dinner and Sunset Cruise, Inner Palm Cruise, High-Tea Cruise, Leisure Cruise, Floating Business Meetings, Fishing Sport and Speed Boat Tours. We also operate a Sea School and have a fully equipped Maintenance and Valet Service team. The F1 Monaco Grand Prix and F1 Abu Dhabi Grand Prix are flagship events of Xclusive that offers excellent trackside views of the race and runs into the night for the famous after parties that host numerous celebrities on board. Xclusive Yachts’ luxury cruises are in high demand for hosting corporate, private and social events. Having received over 15 awards of excellence from the start of operation, we have set the industry benchmarks & standards, making us pioneers in yacht chartering. We are also rated 5 stars on Trip Advisor and Trust Pilot.